Get Clients Like a Pro! This New-Technology Software Brings you Sales on Autopilot! VM Prospector Will Help You Search For Businesses. Build Unlimited Contact Lists. Drop Your Promotional Voice Message Straight Into Business Owners Voicemail Boxes. Results show Voice Drops get over 94% open rate! Your message will be heard and your offer will be at top of their minds! VMProspector Will End Your Days of Cold Calling! Search and gather detailed information about any kind of business worldwide to promote your product, SEO services, Lead Gen, Video Marketing, Reputation Management… Sell Like Pros! Upload and send your promotional mp3 voice message straight to tens, hundreds, thousands or millions of prospects voicemail boxes and start receiving call-backs from Ready-to-buy clients instantly… No More Cold Calling! Filter the software-generated business contact lists or upload your own lists, filter by mobile or landline, edit, merge and organize your own lists… No Time List Building! Create and organize your projects, run or schedule unlimited campaigns to run on autopilot, rotate unlimited phone numbers from over 60 countries and get ready to promote your offers and sell your services… Do Business Worldwide! YOU WILL GET INSTANTANEOUS RESULTS! Secure your access to VM Prospector at the lowest price possible! Internet Reputation Management has become a requirement for all businesses. For marketers, using VM Prospector to offer reputation management services is a must. Improve your insurance sales strategy toward well-targeted small and medium businesses, professionals and get right into the decision-makers voicemail boxes. VM Prospector is opening the way for a new era of direct marketing and lead generation strategies. it will enhance your marketing plans and give you direct access to ready-to-buy leads and hot prospects. Using VM Prospector to promote POS and MEV systems and software distributor for restaurants and retail is one of the strategies that has proven its effectiveness. Offline marketing can do wonders if you know the art of doing it right and if you have the tools for. Well, VM Prospector is the tool, it will get you new offline clients in no time. VM Prospector is opening the way for a new era of direct marketing and lead generation strategies. it will enhance your marketing plans and give you direct access to ready-to-buy leads prospects. Every marketer knows that video marketing is powerful and most business owners ignore how to do it right. Drop a voice message into VM Prospector and start getting them signing up for your services. Social media management services can increase businesses exposure and grow their sales. Use VM Prospector to get in touch with unlimited business owners and start offering this service. Getting ranked on the first page of Google may seem an impossible task to do for the average business owner. Do your research, collect businesses contact details and send your offer using VM Prospector. You can promote and sell what VM Prospector does best. Sell Voice Messages marketing services to any online or offline business and help them generate new leads. International or local real estate promotions is a multi-billion dollar industry. VM Prospector get you targeted advertising for interested real estate agents, realtors, and promoters. Mobile apps development has become accessible to all marketers. and the majority of business owners still think that it is so complicated to do. Let VM Prospector get you new clients for this service. Offering custom design, Mobile and WordPress development, corporate branding, consultation and website management is a great service to offer and it works in perfect combination with VM Prospector. All service that you can offer as an online or offline marketer can be recurring services. This means that using VM Prospector you can build a long-term recurring revenue within a very short time and ensure your success. This is one of the easiest services to offer to business owners using VM Prospector. Simply find a large scale local printing company near you, and start reselling flyers, business cards, vinyl banners and wrapping, and much more. Every business owner cares about his assets, VM Prospector can help you reach them and sell security systems installation and maintenance services. Save Time & Money with automated reminder phone calls or send your voice message to thousands of phone numbers with an easy 3 step process. You simply enter the type of business you want to target, the location, and you will have a load of targeted businesses contacts lists. Ready to be contacted. You can obtain a more detailed information about the targeted business that you select. This will give you a more in-depth look and will open more opportunities. Each generated contact details can be filtered into more specific categories using our powerful Lookup option. You can filter by Mobile phone numbers, Landline, VoIP, or else. Once Your businesses contact lists are ready, Whether you’ve used our integrated search tool, or you’ve uploaded your own list, Simply export it and you are ready to go. You also have an option to merge multiple lists and create multiple projects. This will give even more structure, more power, and more flexibility for your campaigns. For each campaign, you can select an unlimited number of phone numbers to be used and to rotate when sending your promotional voice message to prospects. This is so powerful! You can set your projects to run or pause at any time or frequency you want. This option alone will give you the freedom you always dreamed of! Finally, you start running your campaigns. Your voice message will be sent directly to the selected business owners voice mailboxes. Interested clients will call back minutes after! With VM Prospector you can send your promotional voice messages directly to mobile or landlines business voicemail boxes. Our software is a Cloud-based application. All you need to start generating new leads is a web browser and internet connectivity. VM Prospector works on PC and Mac computers. No need to install any software or application on your computer, simply connect to the web and you’re ready to go. Your information, lists, and projects are safe with VM Prospector. We implemented the latest security technology to save, encrypt, backup and protect our users’ data. VM Prospector is a B2B application, it has been developed to be compliant with all federal laws and regulations. We are 100% compliant with FCC, FTC and TCPA regulations. The Next Generation Customer Acquisition Software is Here… With its 97% open rate, you will have a redoubtable marketing tool to add to your assets! The Search For Business Module is so powerful and simple to work with, it will help you collect a wide range of targeted business contact details. You can search by business type, and Geo-target your data collection task by location, country, cities, streets, keywords, or even postal codes. The Search For Business Module is fast and efficient and worldwide location-centric. It will do all the hard work for you. All it requires is the press of one button. The Lookup Module can help you build more targeted business lists. You can select businesses individually or make a bulk lookup to filter your contact lists and organize them by phone number type. This option will give you a more in-depth look at your collected business data. Use our Lookup tool and you can target your prospect by sending your message to their mobile phones, landline phone numbers or VoIP numbers. Collected or uploaded business data can be saved into multiple lists. You can have unlimited lists ready to download or to be uploaded into our integrated Project Manager Module. in just a few minutes, you will have thousands of collected businesses contact details ready to be set into ready-to-send campaigns. The list builder module will help you organize your prospects contact data into unlimited targeted lists. This is the ultimate and a must-have list building tool. Once you have your business data lists ready, you will be able to organize them into multiple projects. You can merge your lists, edit and update or delete business contact details. This will help you target unique business type in multiple locations or vice-versa, multiple business types in one location. With just a few clicks, using the Project Manager Module, you can set, edit and organize unlimited lists into unlimited ready-to-go projects. Generating detailed reports will give you an accurate and effective means of measuring and evaluating each of the different lead generation campaigns that you are currently running. This will help you analyze your strategies and be more effective in bringing in more qualified prospects to your company. Getting detailed reports for your clients’ acquisition campaigns is a vital part of any prospecting project. With the Report Module, you will generate your reports live and automatically for each running project. VM Prospector powerful scheduler lets you set your campaigns to run at the most convenient time of your choosing. You can set unlimited phone numbers from over 60 countries to rotate when sending your promotional voice message. Connect your Twilio account and take advantage of their rock bottom pricing. and 1800 numbers at the lowest prices and start promoting your offers worldwide! Start Getting New Clients… FAST! If you’re a local marketer providing Lead Generation services, SEO, Video Creation & Marketing services, Reputation Management, Email Marketing, Social Media Management, or any Online or Offline Marketing Services, then you want new and effective ways to grow your business, get more clients and make more money… right? Get similar to these LIVE Phone Leads that can result in business opportunities Worth THOUSANDS of dollars! Now at the lowest price possible! VM Prospector will BOOST Your Business To The Next Level! 3-Days For Just $297 FREE! Try it… Get clients… Then pay us!… Fair Enough? *We reserve the rights to remove this offer at any point so act fast to avoid any disappointments. *Free 3-day trial then $197 per year. 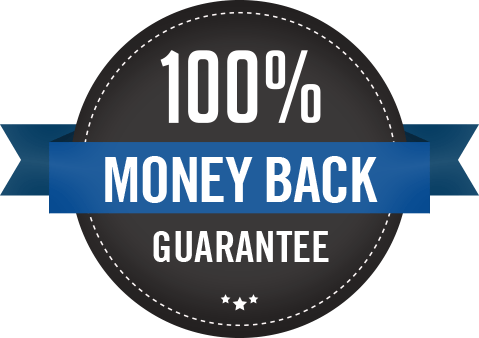 If you have any trouble using the VM Prospector software and we fail to help you resolve the issue, we’ll give you 100% of your money back. We don’t offer a no questions asked refund so please provide a genuine reason and proof that you did everything we told you to before asking for a refund. Please read the sales page carefully before making a purchase, results vary for various niches and depend on various factors so they cannot be guaranteed to the same as ours on this page. We do not promise that you are guaranteed to make money from this software. You’ll get these exclusive bonuses with your order to get you on the Fast Track! 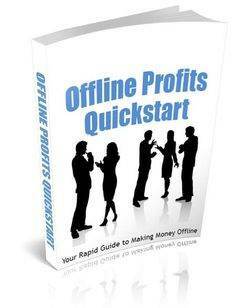 Your rapid Guide to starting a business and making money offline! 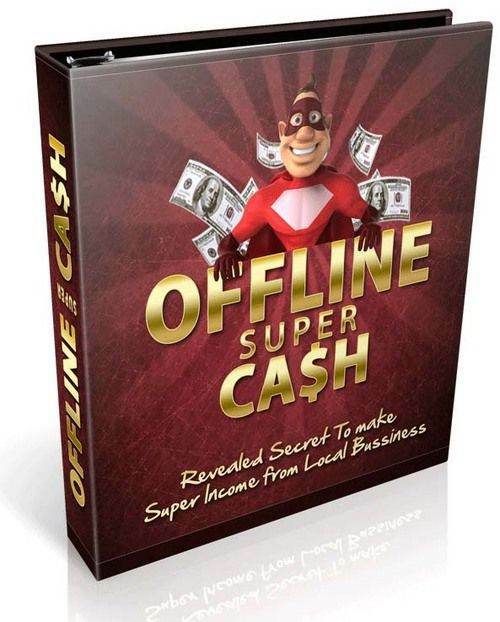 You don’t have to be an expert Internet Marketer to profit in the Offline World. 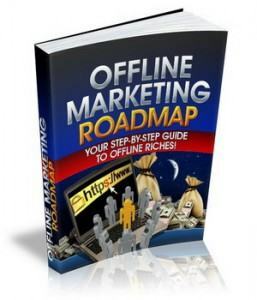 Strategies to start marketing your online business in the Offline Marketplace. Lack specific skills? 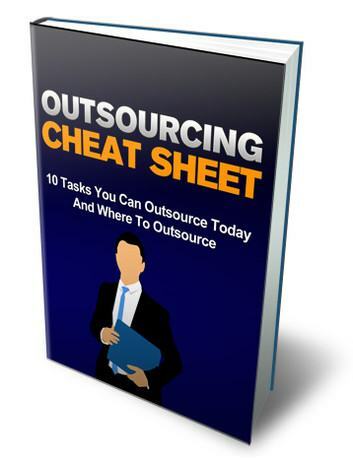 Get the exact steps to hire freelancers and outsource all your tasks. But wait… we’re NOT done yet! We’ve Got Some Fast Action Extra Bonuses For You! incredible bonuses that will help you Start or Grow Your Business Fast! 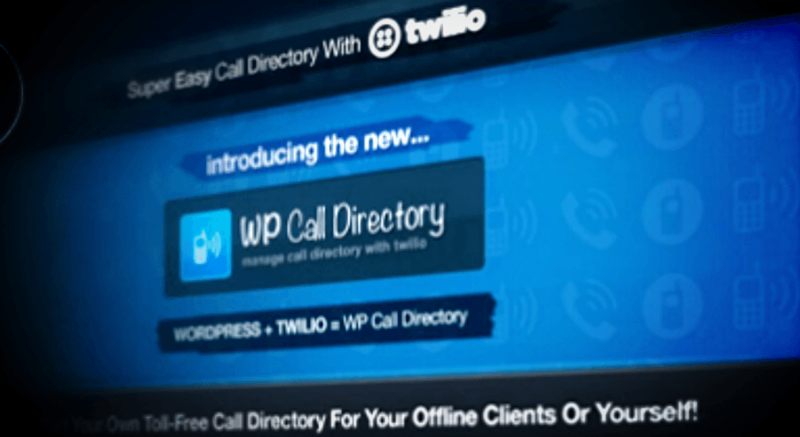 Create automated phone systems for your clients using this powerful WordPress plugin, and in combination with VM Prospector, you will get started right away with a great service to offer. Set up complete phone systems in just a few clicks! Custom greetings, call forwarding, voicemail and call directory… in a matter of minutes you will build automated phone systems that accept & route phone calls, for your offline clients or yourself… there are no limits! Have a real 1-800 number on your site. Increase conversions with a REAL number and sell the toll-free system to offline clients. Full On-Call Directory. Super Simple Call Forwarding. Text-2-speech engine to read important information to callers. Leave A Message System. And much much more! 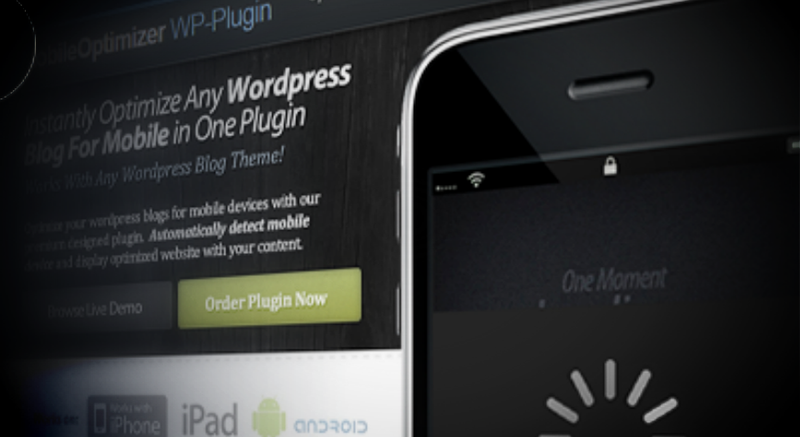 This powerful WordPress plugin will help you build responsive lead generation landing pages that work! No Leak Landing Pages! Take every opportunity possible to capture the lead of every visitor and this will work with any auto-responder. 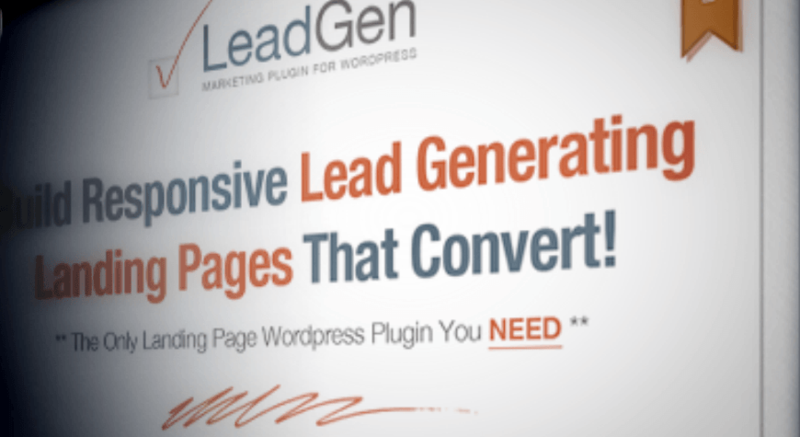 Save time and money and build landing pages to capture leads that you will resell to ready-to-buy business owners that are desperately looking for them! VM Prospector will help you achieve that! Amazingly simple page setup! Easy to use and powerful! Plenty of businesses out there are still ignoring this huge market share and still having old websites that are not optimized for mobile browsing. Get started today by offering Website Mobile Optimization Service to offline businesses using this unique plugin and the power of VM Prospector. Simple drag & drop install no messy databases. Hack proof back-end brute-force protection. Stunning Slide, hide and show animations. lead capture forms, management & design, super simple design customization. 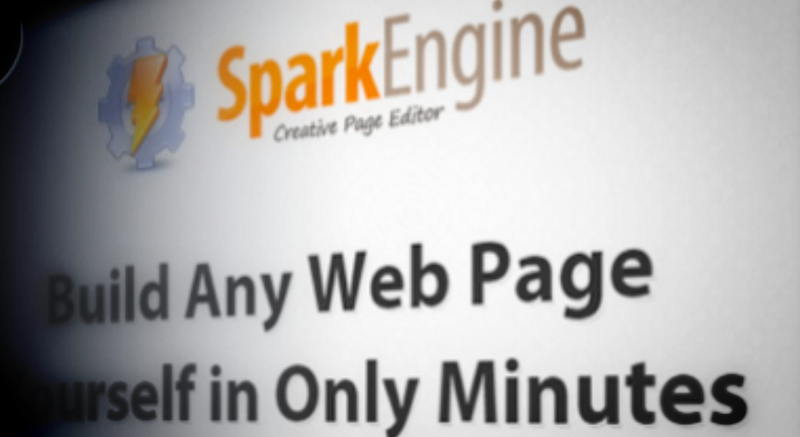 What you see is what you get has never been truer than now with the Spark Engine WordPress plugin that allows you to build web pages using HTML5 editor and full content management. Embed Your Media & Edit Instantly. Manage Pages Inside WordPress. Pretty URLs and CMS-Ready. You can use this to create a website for yourself or anyone you want and use VM Prospector to promote your services! 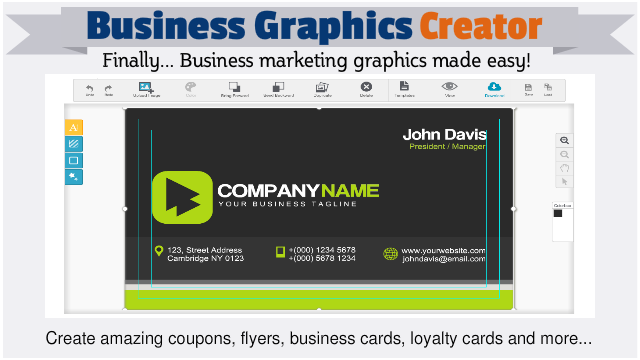 Use the Business Graphics Creator and to create amazing graphic designs that you can sell. Create coupons, flyers, business cards, loyalty cards and more. For your business marketing needs or to sell this on-demand design and creation service using VM Prospector. 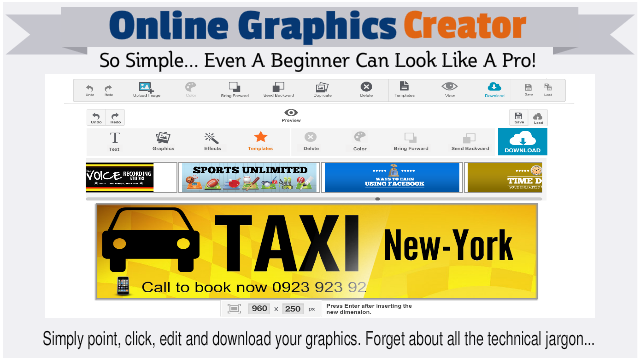 The Online Graphics Creator leverages the power of online marketing and creates headers, banners or any online graphic design for websites, fan pages, Google+ pages, Youtube channels and more… VM Prospector will make the selling process for these designs smooth, simple and so effective! You have all that it takes to start or grow a profitable business! VM Prospector is the #1 prospecting and client acquisition software. It allows you to search for business contacts, build lists and drop a voice message directly into your prospects voicemail boxes. It can be used for offline and online marketing campaigns, service promotion and more… and with on-demand 97% open rate, it is a very POWERFUL marketing software, it ensures you that your marketing message will be heard. VM Prospector is the EASIEST prospecting and client acquisition software out there. It’s guaranteed that you’ve never seen something as easy to use as VM Prospector. Even a complete newbie can have his first marketing campaigns ready and running in just a few minutes. There is no need to worry about installation and maintenance. VM Prospector is a web-based software and there will be no need to install future update or patches. Yes. We offer around-the-clock support service for our valued costumers. Our support team can be reached by going to https://support.vmprospector.com. OK, is there a guarantee? – If you signup thru Free Trial offers that we run few times a year, the following applies. WE OFFER FREE TRIAL PERIOD FOR YOU TO EVALUATE AND THAT FOR WE CANNOT OFFER REFUNDS ON THIS PARTICULAR PRODUCT AFTER TRIAL PERIOD EXPIRES. (WITH A FEW RARE EXCEPTIONS). -If you buy out of the Free Trial periods the following applies. Because we want you to start today with total peace of mind your investment is backed up by a 30 day money back guarantee – you will be ordering with confidence and this eliminates any kind of risk on your part, because and if our support can’t fix your technical issues, we’ll refund you as long as you give a genuine reason and the issue is technical in nature. Our software is easy to work with and within an hour you can start running your first voice message marketing campaign. You will see results really fast, even before the 30-day guarantee expires. How many voice messages can I send? You can send an UNLIMTED number of voice messages per day. We are sure that it’s a quiet enough to ensure your marketing campaigns success. With VM Prospector you will have access to a powerful scheduler to automate daily marketing tasks. How many caller IDs can I use? With VM Prospector you can use an UNLIMITED number of caller IDs to match your campaign location. You can use phone numbers from over 60 countries worldwide. Can I use VM Prospector in Europe? United States, United Kingdom, Canada, Germany, France, Japan, Spain, Switzerland, Romania, Dominican Republic, Czech Republic, Slovakia, Sweden, Hong Kong, Puerto Rico, Slovakia, South Africa, Luxembourg, New Zealand, Mexico, Peru, Greece, Lithuania, Poland, Denmark, Italy, Ireland, Latvia, Australia, Cyprus, Austria, Brazil, El Salvador, Finland, Belgium. Is there additional fees & costs? VM Prospector does not charge you for your communication usage. All communication expenses are billed directly through Twilio. Please note that you need a Twilio account in order to use VM Prospector. This will enable you to buy phone numbers and use our software. costs of phone numbers, minutes of communication usage, etc. are billed by Twilio at their selective pricing. You also need a Google Places API key, but Google offers you a $200 free usage every month which is more than enough to complete a large number of requests. But I already use other prospecting tools! Most marketers are already using all other marketing tools and strategies that are available out there. Email marketing included, but some successful marketing agencies and some big companies are not sharing their secret tools with you guys. They are using the same technology as VM Prospector is providing you today. The only difference is that we did make it so affordable for the average marketer, and with 97% open rate in your marketing campaigns. you get the very best marketing value. * Lookup option does not provide results for Canadian phone numbers. ** VM Prospector does deliver promotional voice messages to most landline, mobile, and VoIP phone numbers, but for some providers and in some situations, this can not be done.